The Battle of Smolensk, the first major battle of the French invasion of Russia took place on August 16–18, 1812, between 175,000 men of the Grande Armée under Napoleon Bonaparte and 130,000 Russians under Barclay de Tolly, though only about 50,000 and 60,000 respectively were actually engaged. Napoleon attacked Smolensk occupied by Russian General Bagration’s corps and captured two of the suburbs. During the night the Russians evacuated the burning city. Initially the Russians employed hit and run tactics against the Grande Armée. Napoleon therefore devised the Smolensk Manoeuvre in an attempt to sweep behind the enemy and inflict a decisive defeat. On August 14, 1812 forces under the command of Joachim Murat, Marshal Davout, and Michel Ney crossed the Dnieper River at Rassna using bridges constructed overnight. The plan was to race toward the city, taking it without a fight, and march north to attack the rear of the main Russian forces under the overall command of General Barclay de Tolly. Unfortunately for the French, conflicting orders and a breakdown in communication had already led Bagration to disobey orders and instead of marching west, he occupied Smolensk to the south. By August 16, French forces found the city heavily garrisoned by Bagration’s troops, further reinforced with the subsequent arrival of Barclay and the main Russian army. Smolensk, an historic fortress city of 12,600 inhabitants on the main Western invasion route to Moscow was defended by bastion towers and a thick stone wall. The River Dnieper ran through the middle. The Assumption Cathedral in Smolensk housed one of the most venerated icons of the Orthodox Church, Our Lady of Smolensk attributed to St Luke, and Napoleon assumed that the Russians would fight outside the city to avoid its destruction. The main battle was fought on August 16. An initial probing force captured two suburbs but failed to bring the Russians out to battle. Napoleon ordered a general assault with three corps of the Grande Armée, supported by two hundred artillery pieces. This was initially successful, the intense artillery bombardment setting the city on fire but the French forces lacked ladders or climbing apparatus to scale the city walls and were under counter fire from Russian artillery. By nightfall, most of the city was burning. To save the army, Barclay de Tolly abandoned the city destroying all ammunition stores and bridges leaving a small force to hold out for two days to cover his retreat. Around dawn on August 17, Grande Armée Polish forces successfully breached the walls, and in a few hours the main French forces entered the city. Barclay retained forces on the other side of the river preventing a crossing until the night of August the 18th. The city was almost completely destroyed. Technically the battle of Smolensk was a victory for Napoleon as he captured the city. However his soldiers were already running short of food and its destruction denied him a useful supply base, adding to the logistics problems caused later by the Russian scorched earth tactics. Napoleon had sent a final offer of peace to Saint Petersburg shortly before commencing operations. He never received a reply, so he gave the order to proceed into Russian Poland. He initially met little resistance and moved quickly into the enemy’s territory. The French coalition of forces amounted to 449,000 men and 1146 cannon being opposed by the Russian armies combining to muster 153,000 Russians, 938 cannons, and 15,000 Cossacks. The center of mass of French forces focused on Kaunas and the crossings were made by the French Guard, I, II, and III corps amounting to some 120,000 at this point of crossing alone. The actual crossings were made in the area of Alexioten where three pontoon bridges were constructed. The sites had been selected by Napoleon in person. Napoleon had a tent raised and he watched and reviewed troops as they crossed the Niemen. Roads in this area of Lithuania hardly qualified as such, actually being small dirt tracks through areas of dense forest. Supply lines simply could not keep up with the forced marches of the corps and rear formations always suffered the worst privations. The 25th of June found Napoleon’s group past the bridge head with Ney’s command approaching the existing crossings at Alexioten. Murat’s reserve cavalry provided the vanguard with Napoleon the guard and Davout’s 1st corp following behind. Eugene’s command would cross the Niemen further north at Piloy, and MacDonald crossed the same day. Jerome command wouldn’t complete its crossing at Grodno until the 28th. Napoleon rushed towards Vilnius pushing the infantry forward in columns that suffered from heavy rain then stifling heat. The central group would cross 70 miles (110 km) in two days. Ney’s III corps would march down the road to Sudervė with Oudinot marching on the other side of the Neris River in an operation attempting to catch General Wittgenstein’s command between Ney, Oudinout, and Macdonald’s, commands, but Macdonald’s command was late in arriving to an objective too far away and the opportunity vanished. Jerome was tasked with tackling Bagration by marching to Grodno and Reynier’s VII corps sent to Białystok in support. The Russian headquarters was in fact centered in Vilnius on June 24 and couriers rushed news about the crossing of the Niemen to Barclay de Tolley. Before the night had passed orders were sent out to Bagration and Platov to take the offensive. Alexander left Vilnius on June 26 and Barclay assumed overall command. Although Barclay wanted to give battle he assessed it as a hopeless situation and ordered Vilnius’s magazines burned and its bridge dismantled. Wittgenstein moved his command to Perkele passing beyond Macdonald and Oudinot’s operations with Wittgenstein’s rear guard clashing with Oudinout’s forward elements. Doctorov on the Russian Left found his command threatened by Phalen’s III cavalry corp. Bagration was ordered to Vileyka which moved him towards Barclay though the order’s intent is still something of a mystery to this day. On June the 28th Napoleon entered Vilnius with only light skirmishing. The foraging in Lithuania proved hard as the land was mostly barren and forested. The supplies of forage were less than that of Poland and two days of forced marching made a bad supply situation worse. Central to the problem were the expanding distances to supply magazines and the fact that no supply wagon could keep up with a forced marched infantry column. A Lieutenant Mertens — a Wurttemberger serving with Ney’s III corps — reported in his diary that oppressive heat followed by rain left them with dead horses and camping in swamp-like conditions with dysentery and influenza raging though the ranks with hundreds in a field hospital that had to be set up for the purpose. He reported the times, dates, and places, of events reporting thunderstorms on the 6th of June and men dying of sunstroke by the 11th. The Crown Prince of Wurttemberg reported 21 men dead in bivouacs. The Bavarian corps was reporting 345 sick by June 13. The French light Cavalry was shocked to find itself outclassed by Russian counterparts so much so that Napoleon had ordered that infantry be provided as back up to French light cavalry units. This affected both French reconnaissance and intelligence operations. Despite 30,000 cavalry, contact was not maintained with Barclay’s forces leaving Napoleon guessing and throwing out columns to find his opposition. 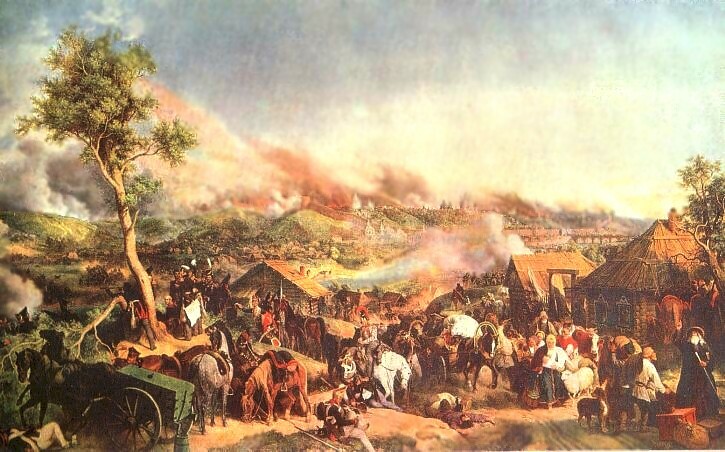 The operation intended to split Bagration’s forces from Barclay’s forces by driving to Vilnius had cost the French forces 25,000 losses from all causes in a few days. Strong probing operations were advanced from Vilnius towards Nemenčinė, Mykoliškės, Ashmyany, and Molėtai. Eugene crossed at Prenn on June 30 while Jerome moved VII Corps to Białystok, with everything else crossing at Grodno. Murat advanced to Nemenčinė on July 1 running into elements of Doctorov’s III Russian Cavalry Corps enroute to Djunaszev. Napoleon assumed this was Bagration’s 2nd Army and rushed out before being told it was not 24 hours later. Napoleon then attempted to use Davout, Jerome, and Eugene, out on his right in a hammer and anvil to catch Bagration to destroy the 2nd army in an operation spanning Ashmyany and Minsk. This operation had failed to produce results on his left before with Macdonald and Oudinot. Doctorov had moved from Djunaszev to Svir narrowly evading French forces, with 11 regiments and a battery of 12 guns heading to join Bagration when moving too late to stay with Doctorov. 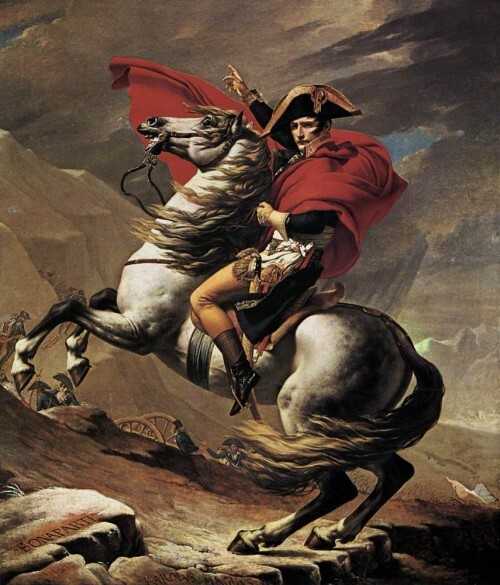 "If the Emperor Napoleon is determined on war and if fortune does not smile on our just cause, he will be forced to go to the end of the world to find peace." Conflicting orders and lack of information had almost placed Bagration in a bind marching into Davout; however, Jerome could not arrive in time over the same mud tracks, supply problems, and weather, that had so badly affected the rest of the Grande Armée, losing 9000 men in four days. Command disputes between Jerome and General Vandamme would not help the situation. Bagration joined with Doctorov and had 45,000 men at Novi-Sverzen by the 7th. Davout had lost 10,000 men marching to Minsk and would not attack Bagration without Jerome joining him. Two French Cavalry defeats by Platov kept the French in the dark and Bagration was no better informed with both overestimating the other’s strength, Davout thought Bagration had some 60,000 men and Bagration thought Davout had 70,000. Bagration was getting orders from both Alexander’s staff and Barclay (which Barclay didn’t know) and left Bagration without a clear picture of what was expected of him and the general situation. This stream of confused orders to Bagration had him upset with Barclay which would have repercussions later. Napoleon reached Vilnius on the 28th of June leaving 10,000 dead horses in his wake. These horses were vital to bringing up further supplies to an army in desperate need. Napoleon had supposed that Alexander would sue for peace at this point and was to be disappointed; it would not be his last disappointment. Barclay continued to retreat to the Drissa deciding that the concentration of the 1st and 2nd armies was his first priority. Barclay continued his retreat and with the exception of the occasional rearguard clash remained unhindered in his movements ever further east.